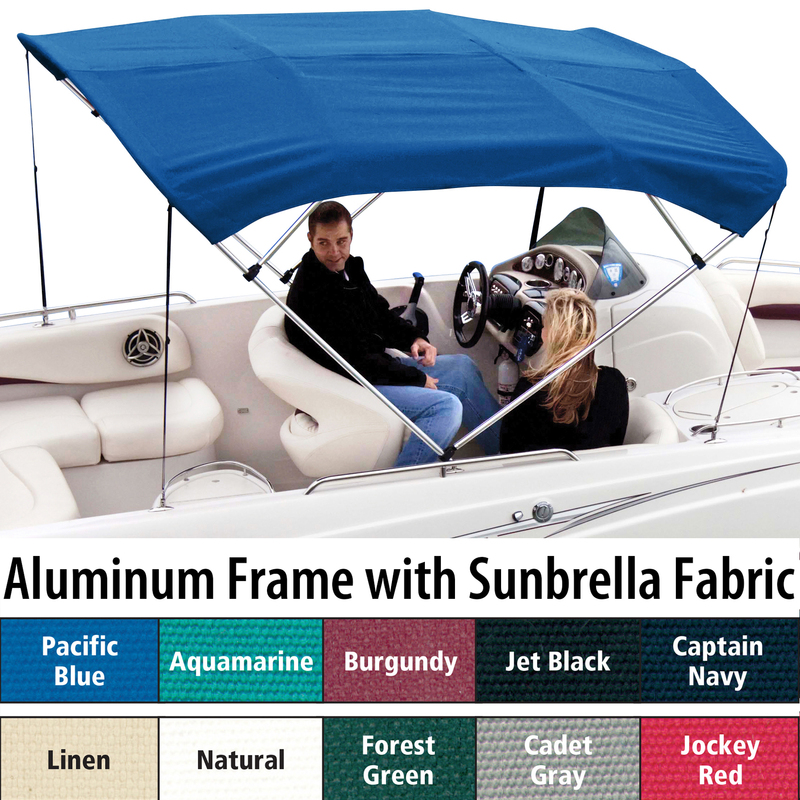 Shademate Sunbrella 4-Bow Bimini Top, 8'L x 42"H, 67"-72" Wide is rated 5.0 out of 5 by 2. Sunbrella 9.25-oz. acrylic fabric is world renowned for prolonged protection against the sun. Seven-year warranty. Rated 5 out of 5 by Chad from I Love It!!!! This top really covers my boat well. The installation instructions were very precise all the way down to the size drill bit needed, and all the hardware was there. I read other reviews that said they had missing hardware, not so in my case. You don't have to be a rocket scientist to install it either, so I don't know why some reviewers had trouble. You DO need an extra set of hands from time to time, though, so buy some pizza for your buddy. It took about an hour to fully install, and part of that was trying to convince myself to bite the bullet and just drill the holes (you gotta be sure so you only have to do it once!!). It provides alot of shade, it's easy to use, and it really makes the boat look great! The only thing I would recommend is some velcro straps to roll it up with when it's time to put it away, that way the boot goes on a little easier. I would also recommend purchasing the braces to keep it up out of the way. I love how they look and rolling the top up and putting the boot on is so much easier when it's up at a working level than laying down on the back of the boat. Also, the braces keep the kids from stepping all over it when they're getting in and out off the swim deck. Only regret is that I wish I had gotten the stainless steel tubing. 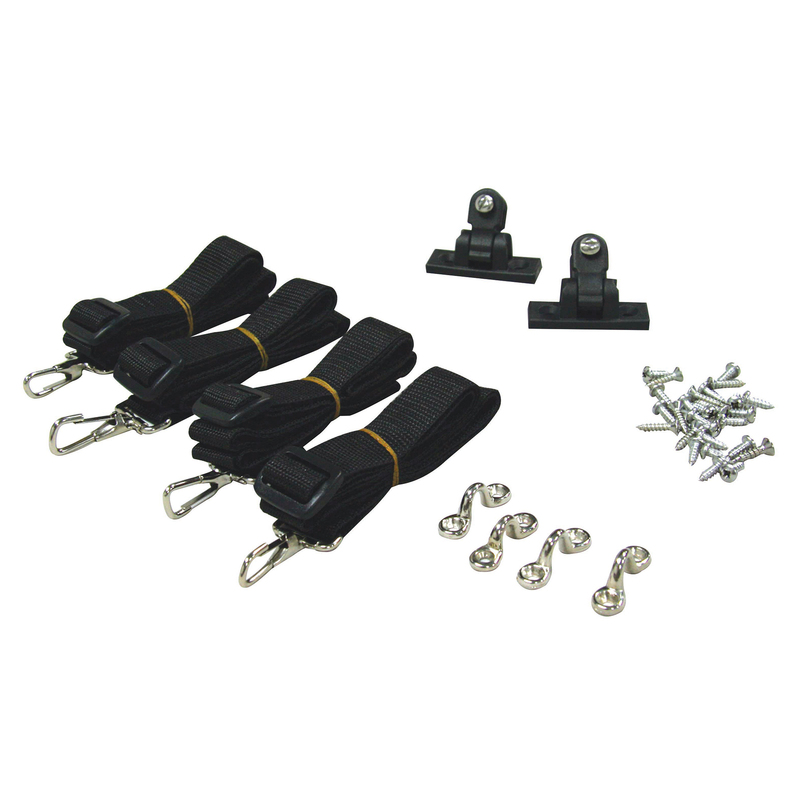 Great product, already looking to get another for my fishing boat. Rated 5 out of 5 by From Canada, Eh! from AWESOME !!! 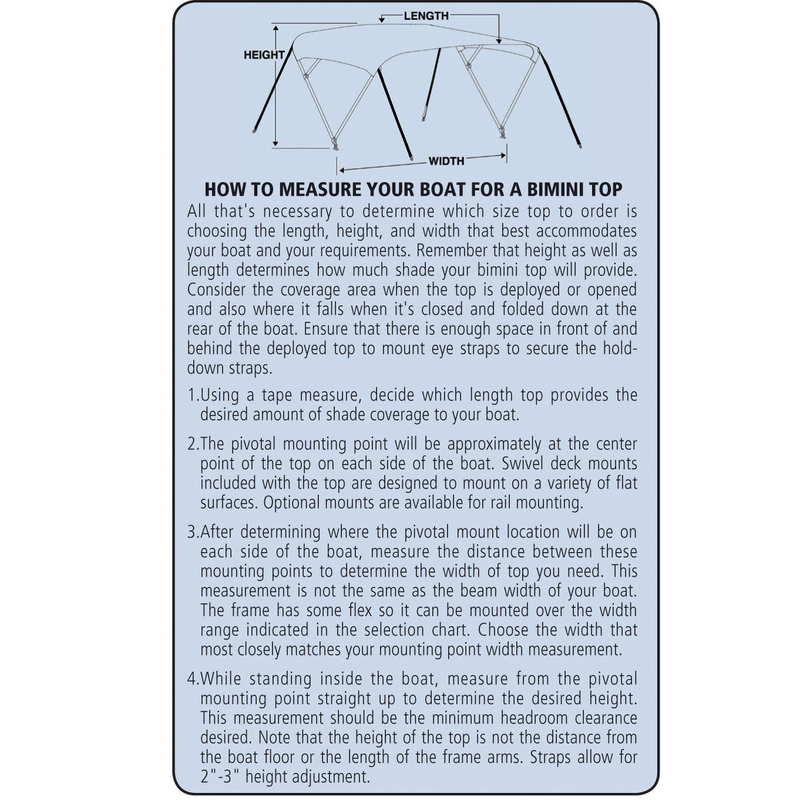 [...] Our new bimini top is beautiful and really makes our boat look even more awesome! !